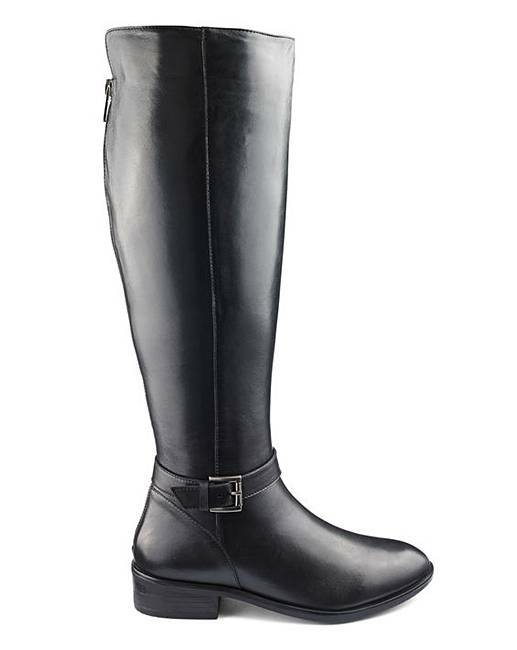 Fleur Leather Wide Fit Super Curvy Calf is rated 4.2 out of 5 by 5. 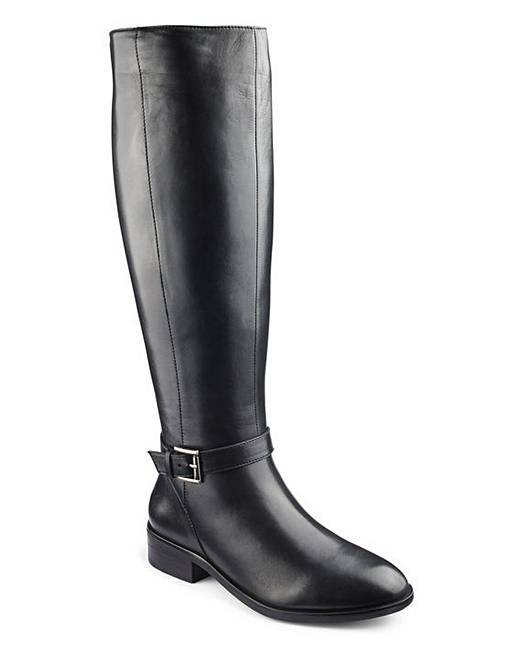 A classy pair of leather boots are a staple for your winter footwear collection. 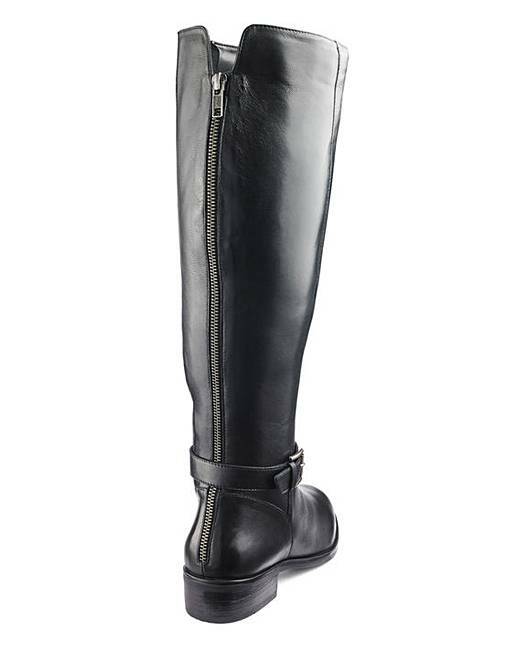 These Fleur leather knee-high boots are a timeless shape which can be worn with jeans and tights - featuring buckle detailing and an inside zip. Available in a variety of width fittings for you to find your perfect fit! These boots have been created with inspiration from 3D technology – giving the best and comfiest fit possible. The legs have been sculpted to fit the curve of a true leg shape, with a better fitting ankle also. 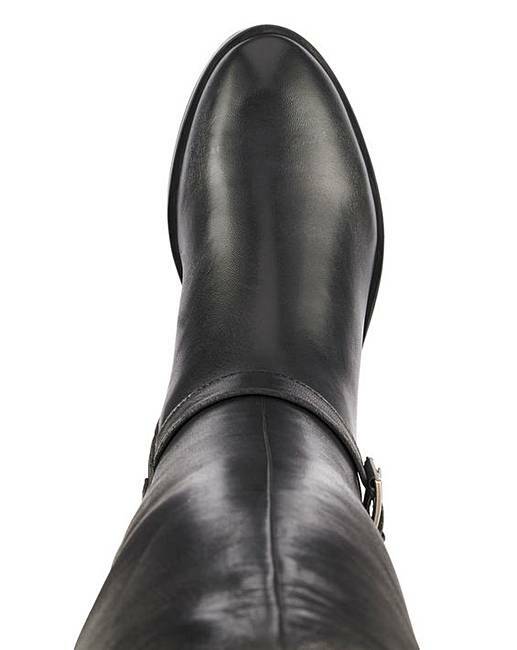 Rated 5 out of 5 by Sunny from Great boots Lovely boots to wear and good quality. Great sale price for real leather. Rated 5 out of 5 by Evie1 from Great fit calfs This is the second pair. I brought these because the first pair were so good. 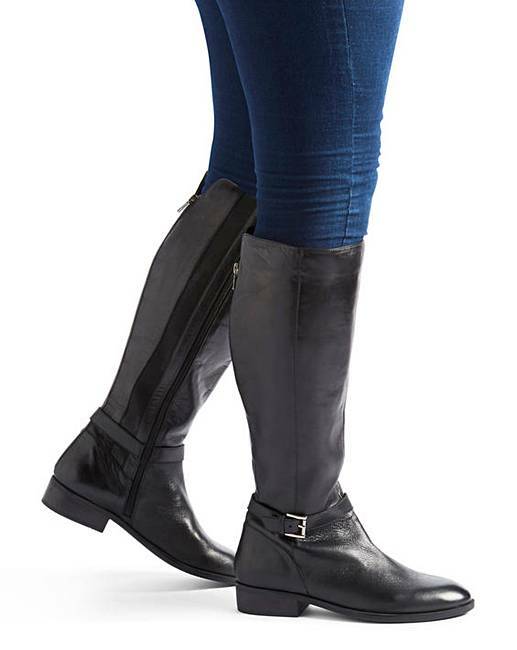 Rated 4 out of 5 by MsMcK from Great boots My first knee high boots, I bought Super Curvy, dark brown (chocolate), fit is amazing on calves. The leather is beautifully soft. After a couple of wears there's was a little give, but not detrimental to the fit. After all that I have one issue, I've had to buy heel raisers to put inside the boot heel as the heel cup is cut too high causing it crease the leather and rub just above the Achilles. Other than that, an excellent pair of boots.